Each of the Seder’s 15 phases has not just a body, but a soul as well—a simple meaning as well as a deep lesson towards higher consciousness . . . 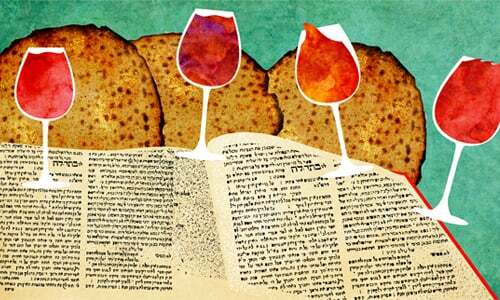 The Passover Seder is a feast that includes reading, drinking wine, telling stories, eating special foods, singing, and other Passover traditions. As per Biblical command, the Seder is held after nightfall on the first night of Passover (and the second night if you live outside of Israel), the anniversary of our nation’s miraculous exodus from Egyptian slavery more than 3,000 years ago. bitter herbs, often horseradish (without additives) and romaine lettuce, dipped into charoset (a paste of nuts, apples, pears and wine). a festive meal that may contain time-honored favorites, like chicken soup and gefilte fish. Each item has its place in a 15-step choreographed combination of tastes, sounds, sensations and smells that have been with the Jewish people for millennia. We call it the Seder or "Order."